What’s in a name? Seemingly everything. Suddenly, like the name Liam or Emma — thus far the top baby names of 2017— the name Battle Born is the favored name for new businesses recently opened in Carson City: Battle Born Social, Battle Born Ammunition & Firearms, Battle Born Business Center, Battle Born Harley-Davidson, to name a few. Battle Born, as Nevadan’s know, is the proud motto of the state. Probably no other city in this state keeps this slogan as alive as does Carson City. Some businesses say opening a business — any business — can be a similar experience to being battle born. Battle Born Ammunition & Firearms is operated by three partners, one a woman, starting as an ammunition manufacturer in Mound House and now serving the greater Carson City area at 1801 E. William St. They are proud of their nationwide online presence and have worked hard to build a strong partnership. Partner, Kristy Scott, writes, “Our company was founded in Nevada, it is our home and we are Nevada Proud. Battle Born seemed like a no brainer.” The three partners, Rudy Hindelang and Kristy and Jim Scott all have first responder experience. 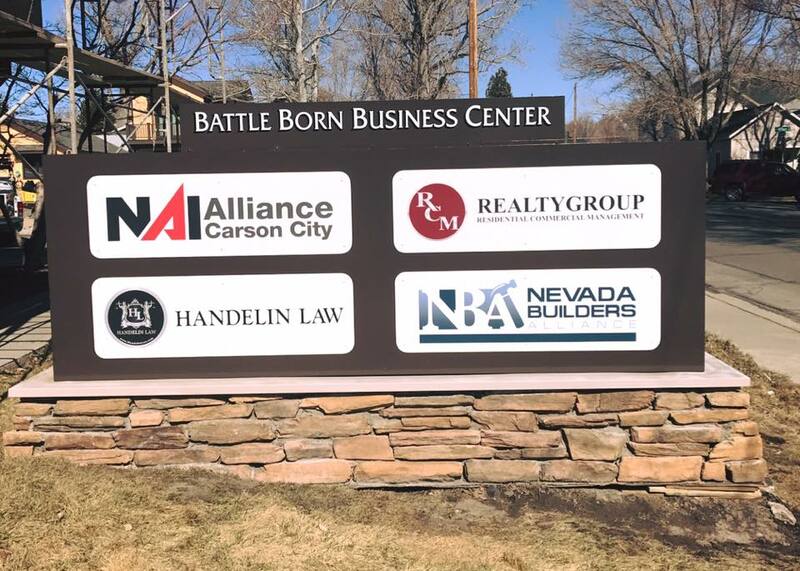 Battle Born Business Center, 1000 N. Division St, officially opened on May 18th incorporating four related businesses under one roof in a newly remodeled building reflecting today’s Carson City. Sharing the building are NAI Alliance, RCM Realty Group, Handelin Law and the Nevada Builder’s Alliance. Chef David Stern, owner of Battle Born Social at 318 N. Carson St. in the center of the city, used the term in his business name because, “The people here are so proud to be Nevadans, this is the state capital and I wanted to make certain the name represented the area in general.” He added the word “social” to reflect his personal philosophy that those who enter his establishment to dine and drink should enjoy each other, the food and drink without interference from today’s technology, thus being social to each other and within their surroundings.